Mother had refused to accept her daughter was brain dead, but said the girl died after surgery last week. SAN FRANCISCO — A girl at the center of the medical and religious debate over brain death has died after surgery in New Jersey, her mother said Thursday. 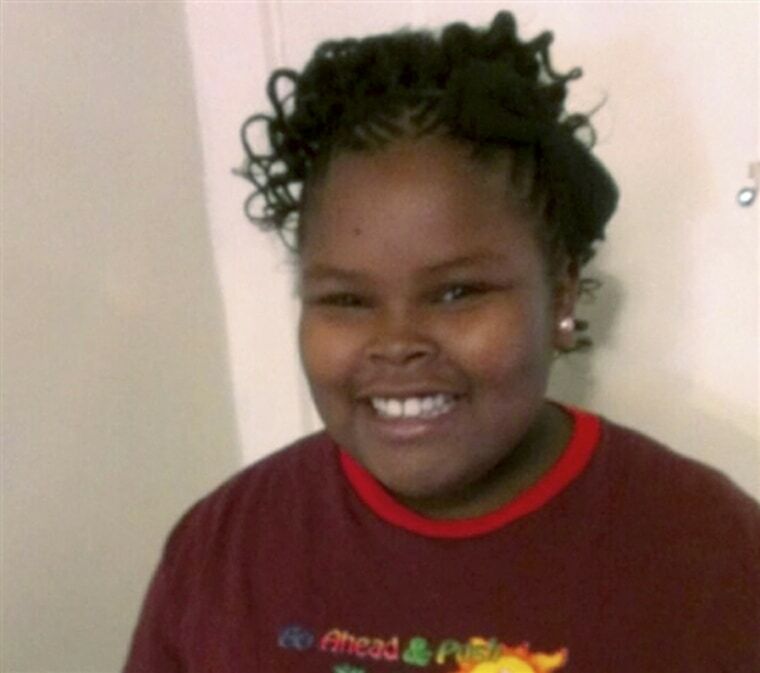 Nailah Winkfield said doctors declared her daughter Jahi McMath dead on June 22 from excessive bleeding and liver failure after an operation to treat an intestinal issue. McMath was declared dead in December 2013 when she was 13 after suffering irreversible brain damage during routine surgery in California to remove her tonsils. A coroner signed a death certificate. Several specialists concurred after neurological tests. Winkfield refused to accept the conclusion. She said her Christian beliefs compelled her to fight for continued care for her daughter, who she said showed signs of life through toe wriggles and finger movements. Winkfield flew her daughter to New Jersey, where she has remained on life support and received care in the state that accommodates religions that don’t recognize brain death. McMath’s case drew national attention amid the debate over brain death and religious beliefs. Conservative religious groups rallied behind Winkfield and helped raise money for McMath’s continued care. Winkfield said she has quit her job, sold her home in Oakland and used savings to pay for McMath’s care in New Jersey. The state’s Medicaid program and donations have also contributed to the girl’s care. Winkfield and her lawyers had been trying to rescind the California death certificate as part of a medical malpractice lawsuit filed against Children’s Hospital in Oakland. In refusing to throw out the lawsuit last year, a judge ruled that it was up to a jury to determine if the girl was still alive. Attorney Chris Dolan said the New Jersey death certificate eliminated that argument, but he and Winkfield are still debating whether to continue the fight and possibly set a precedent so other religious families don’t have to go through the same situation. Children’s Hospital lawyers had argued that the family did not subject McMath to tests accepted by the American Medical Association to determine brain death. Dolan says new technology has made traditional tests obsolete. CORRECTION (July 9, 2018, 5:03 p.m. ET): An earlier version of the headline with this article misidentified the state where Jahi McMath died. It was New Jersey, not California.